Sonetos del amor oscuro : for soprano and chamber ensemble / music by Rosalind Page ; texts by Federico García Lorca. Sonetos del amor oscuro / texts: Federico Garcia Lorca ; music: Rosalind Page. 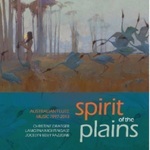 Spirit of the plains : Australian flute music 1997-2013 / Christine Draeger, Lamorna Nightingale, Jocelyn Edey Fazzone. Sonetos del amor oscuro : for soprano and piano / music by Rosalind Page ; a setting of six texts by Federico García Lorca. 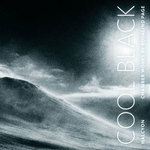 Chiaroscuro : modern works for soprano and piano / Jane Sheldon (soprano), Zubin Kanga (piano). Instrumentation: Soprano, percussion (2 players), lute/baroque guitar/theorbo, double bass, soundtrack. Contents note: 1. El poeta habla por teléfono con el amor -- 2. Noche del amor insomne -- 3. Soneto de la guirnalda de rosas -- 4. Llagas de amor -- 5. 5. El poeta pide a su amor que le escriba. Commission note: Commissioned by Halcyon. Texts in Spanish by Federico García Lorca. Winner 2006 Paul Lowin Song Cycle Prize. 22 Aug 2015: at Chiaroscuro (Recital Hall West, Sydney Conservatorium of Music). Featuring Jane Sheldon, Zubin Kanga. 28 Jul 2010: at Chronology Arts: Jane Sheldon, soprano (Music Workshop, Sydney Conservatorium of Music). Featuring Jane Sheldon, Zubin Kanga. 23 Oct 04: Sydney Conservatorium of Music. Featuring Halcyon. Romantic and strange. This piece does a beautiful job of placing us in the rather surreal landscape of Lorca in love. Described as a journey of love's soul from light to darkness, Sonetos del amor oscuro (Sonnets of Dark Love) is Page's setting of sonnets that remained largely unknown and unpublished for 50 years. It is a mature and deeply soulful cycle, demanding great stamina and breadth of emotional expression. Tension builds throughout the piece until the final movement where the singer must unleash everything emotionally, yet end on a sustained lamenting high note. A work of extremes, from sensual radiance to despair in both the musical landscape and the vocal line itself.